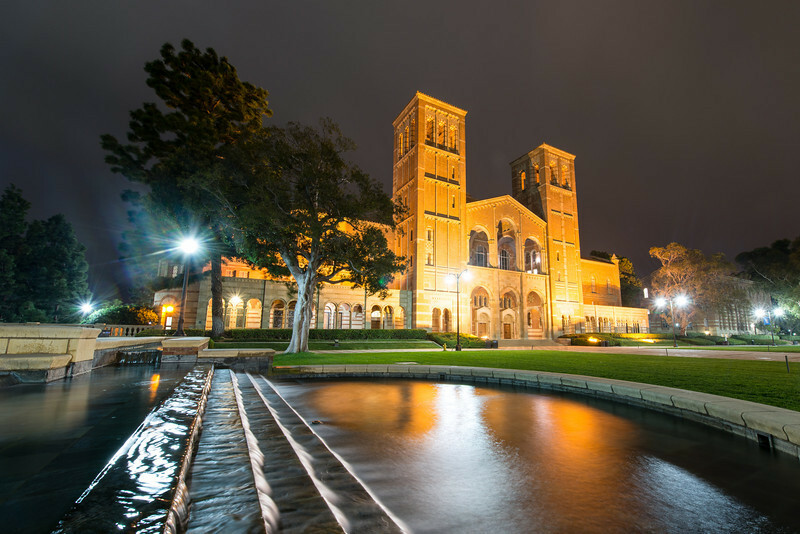 Royce Hall at night, somewhat reflected in Shapiro Fountain. I had to stick 2 legs of the tripod into the water to get the right angle. Without the ultra-wide lens, it's hard to get a shot of both the fountain and the building at once.